On Tuesday the 18th of September, we had our Annual visit from environmental Heath. 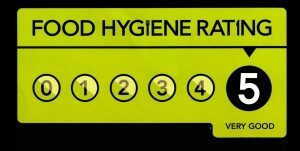 We are thrilled to announce, that we have yet again been awarded the highest rating for food hygiene. A huge well done to Shirley chef and the kitchen team, as well as all the girls that help maintain the high standards set. A well-deserved 5 stars.